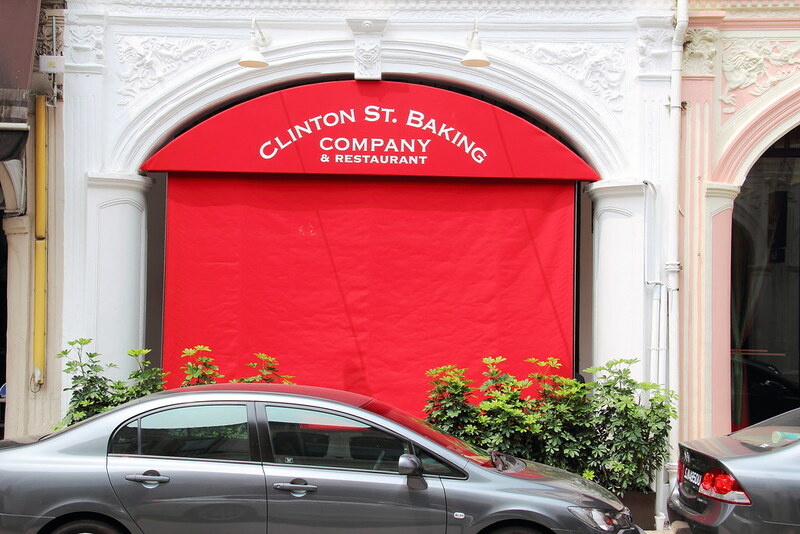 The fame New York's Clinton Street Baking Company & Restaurant servicing traditional American breakfast and brunch has finally landed on the shore of Singapore with the opening of the flagship store at Purvis Street. Together with Charleen and Kimberley, we made our way down to their soft opening on 19 September 2015. The restaurant was full when we reached about an hour after their soft opening at 0905am. After waiting for around 20 minutes, we were ushered to our table. 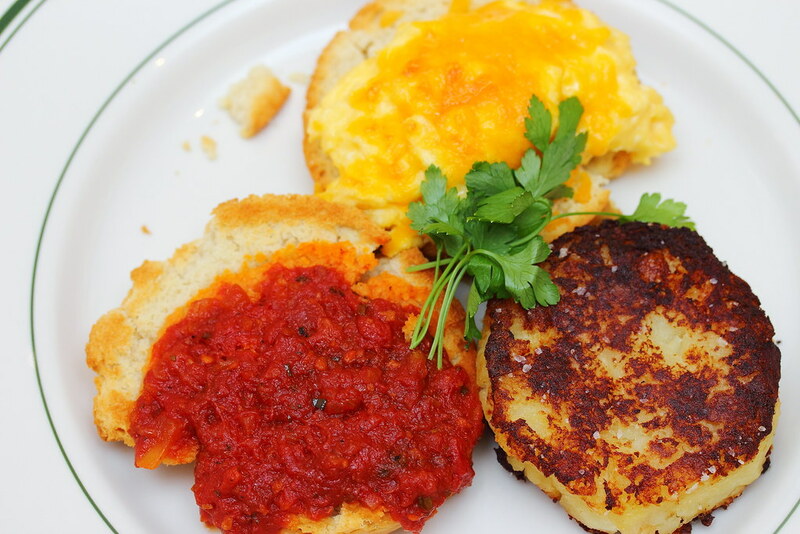 We started with the Buttermilk Biscuit Sandwich ($13.50) that comes with scrambled eggs, melted cheddar, house made tomato jam and hash brown. The highlight on the plate has to be the hash brown. The buttermilk biscuit was really good too. I like the tomato jam pairing more then the scrambled egg. The scrambled egg was on the dry side and together with the dry biscuit, the result was not very palatable. Next is the pancakes with warm maple butter that made Clint Street a household name in American. 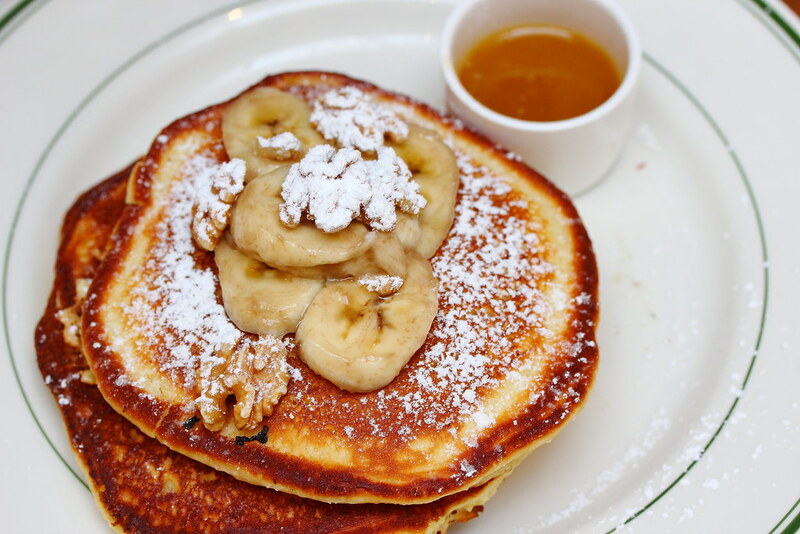 The pancakes come with three choices - blueberries, banana walnut or chocolate chunk. 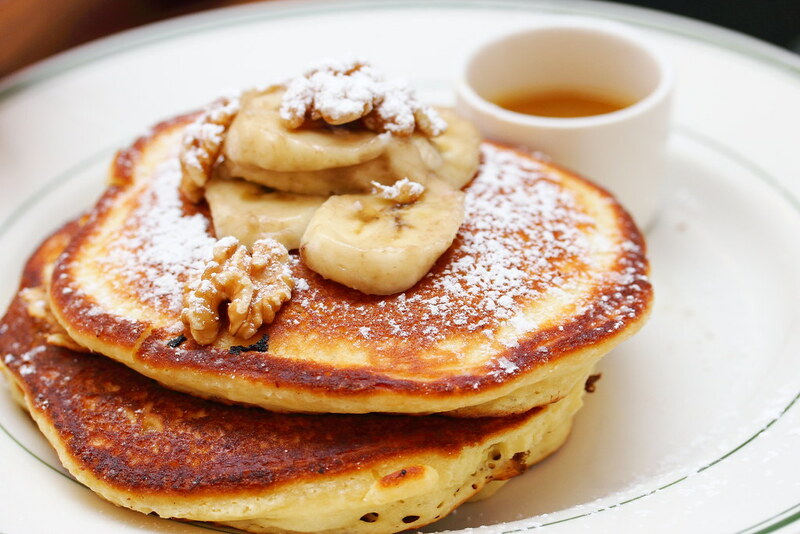 As Kimberley does not like berries and since Charleen has it in New York before, we decided to go for the Banana Walnut Pancakes ($18). The pancakes were fluffy and moist, what I enjoyed even more is the layers of banana in between, allowing the enjoyment to be consistently through. Drizzled the warm maple butter for a elevated appreciation of the traditional American taste. 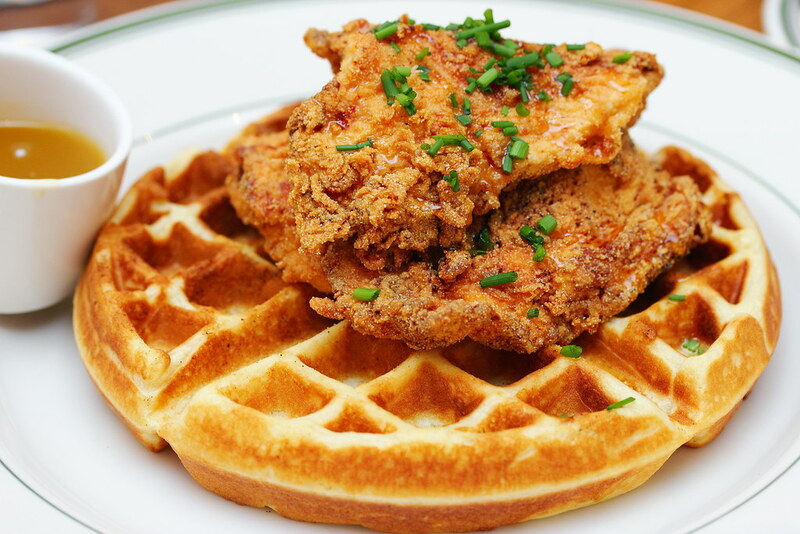 Only available for lunch after 1130am is the Chicken & Waffles ($21). The chicken comes with a honey-Tabasca sauce on top of a crispy Belgian vanilla buttermilk waffle, served with the signature warm maple butter on the side. We can tell that there was some thought behind the crisp and doughy waffle, which is more incline to the savory side to complement the chicken. If the chicken could be more tender and juicier, it would be perfect. 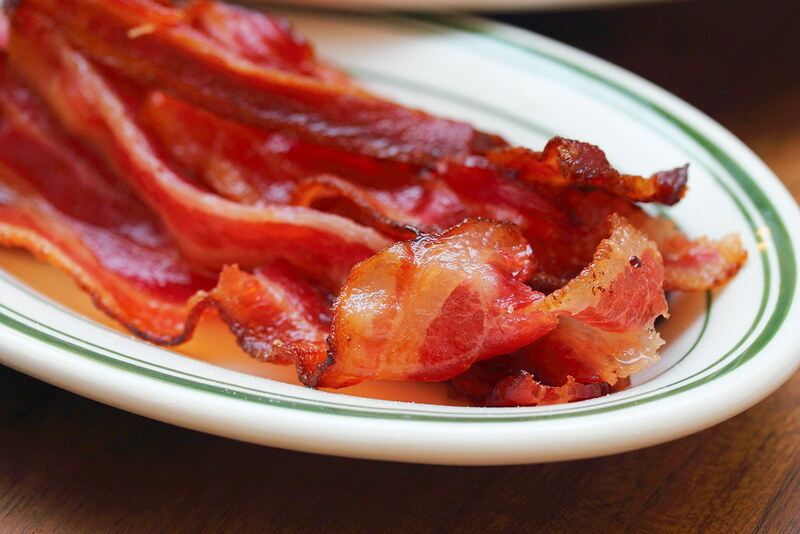 Thanks to Charleen for recommending us to get the Sugar Cured Bacon ($7) for the side. I would high recommend it after trying it. It tasted some what similar to Bak Kwa but thinner and crispier. I personally enjoyed pairing it with the chicken and waffles, giving an additional dimension to the dish. Not everyone has the luxury of flying all the way to New York to try the Clinton Street Baking Company's food. Servicing the same menu as New York, I am glad that Clinton Street has opened in Singapore, offering us the traditional American breakfast and brunch. Consider I visited the restaurant on its first day and leaving with a satisfied tummy, I am sure new heights can be achieved if it continues to strive in quality and consistency.